Leland Moss is a Research Scientist Associate with The Water Institute of the Gulf. Leland joined the Institute in August 2013 as a research intern where he worked on a variety of tasks, including providing technical support to the Expert Panel on Diversion Planning and Implementation, assisting in the development of the System-Wide Assessment and Monitoring Program (SWAMP), and integrating a nutrient impact conceptual model with sediment diversion modeling efforts. 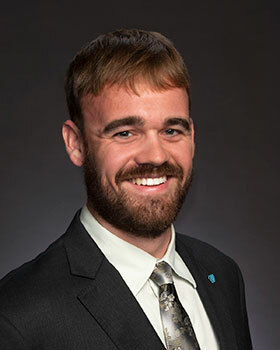 Before joining the Institute, Leland received his coastal environmental management degree from Duke University where his master’s project was comparing wetland restoration between Louisiana and North Carolina in the context of ecosystem services. He has also studied abroad ranging from a semester at Bermuda Institute of Ocean Sciences research station to course work in the Bahamas, Singapore and Malaysia. Leland earned two undergraduate degrees, in marine biology and in economics, from Roger Williams University, Rhode Island. While earning those degrees, he completed four years of aquaculture research and husbandry on copepods and various algal cultures.